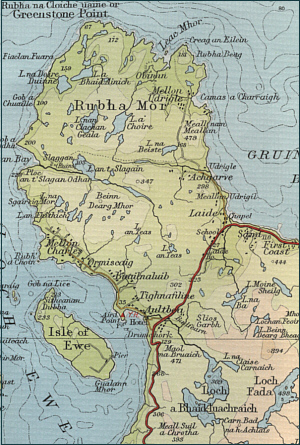 Twenty five years ago, I fished a loch on the Rhuba Mor peninsula in Wester Ross. I caught one trout. Not a remarkable achievement, you might think, and no doubt you would be right. 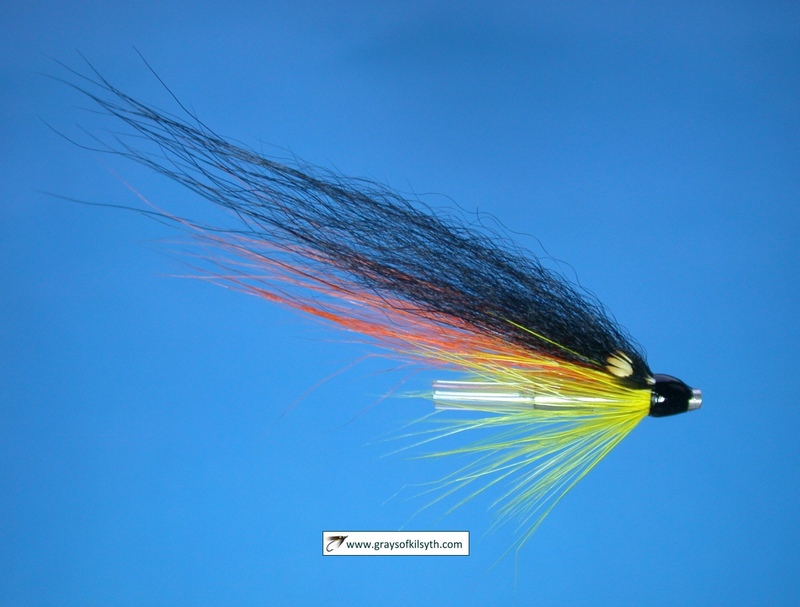 That trout, though, weighed about twelve ounces, well above the average for a highland loch, and it left a lasting impression. 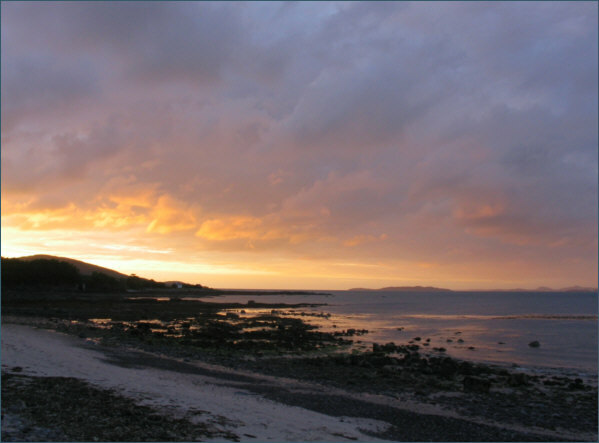 In July 2007, I had the good fortune to find myself once again in that wonderful part of Scotland, in a touring caravan pitched right on the beach at Laide, within a modest cast of the clear blue waters of Gruinard Bay. In such an idyllic location, my wife and I might have been forgiven for spending the whole week on that beach, invigorated by the sea air, watching the tide come and go, and with it the endless variety of sea birds - a wagtail chasing sandflies with a hungry brood in tow; the oyster catchers, ringed plovers and curlews, making the most of the rich bounty uncovered by the ebb tide; the ducks, gulls and cormorants patrolling offshore; the heron flying low over the bay at dusk to poise patiently over a likely looking bed of seaweed. Thank God we had no television reception, or we might have missed the pair of otters, sharing a meal of freshly caught fish on a favourite rock in the last of the light, or the seal which appeared in the bay at the beginning of the flood tide in search of an unwary sea trout. In my very amateur way, I would seek to emulate the success of those expert fishers, wading at dusk among the kelp beds with my fly rod as the tide was turning. 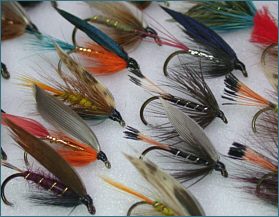 The sea trout was my intended quarry. We had seen one or two leaping in the bay in the evening, so my hopes were high..... and, after all, the seals, otters and cormorants weren't there for nothing. I saw a mackerel caught from the beach on a spinner. Alas, despite fishing each night into the darkness, I failed to catch a sea trout, or even a mackerel. What I did catch, however, much to my great surprise and delight, were two of the most beautiful silver sea bass you could hope for. Now this was a first for me. I had never before caught a bass. Indeed, I was unaware that bass swam in these waters. 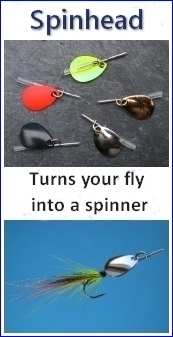 Both were caught on fly around the turn of the tide. They were not big, each measuring about twelve inches long, but, as they say, size isn't everything. They were returned to grow a little bigger. 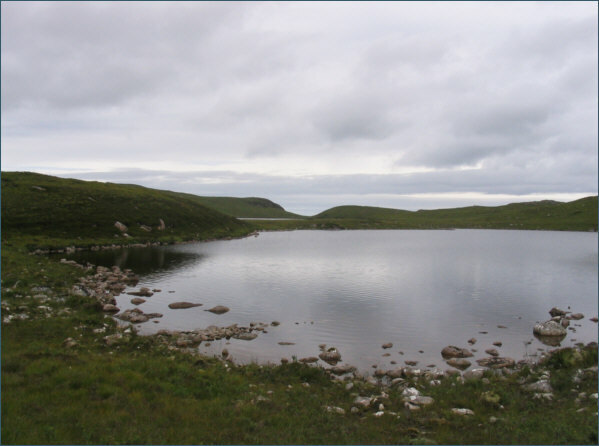 Despite the endless seaside attractions, my thoughts would return to the loch on the peninsula, the Corrie Loch, Loch a Choire. 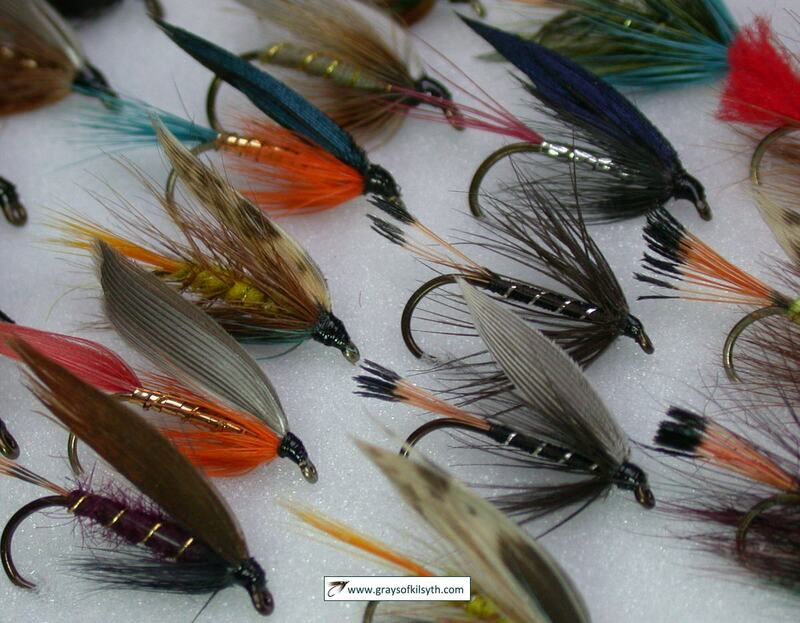 I had spent an enjoyable few hours fishing one or two other hill lochs in the area. 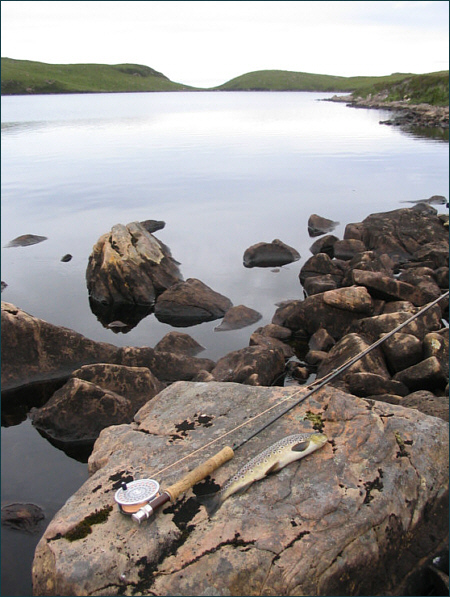 A hike up to Loch na Ba had produced twenty trout in an hour or two in the most quiet and peaceful of settings. Lovely though they were, none of those trout weighed more than five ounces. 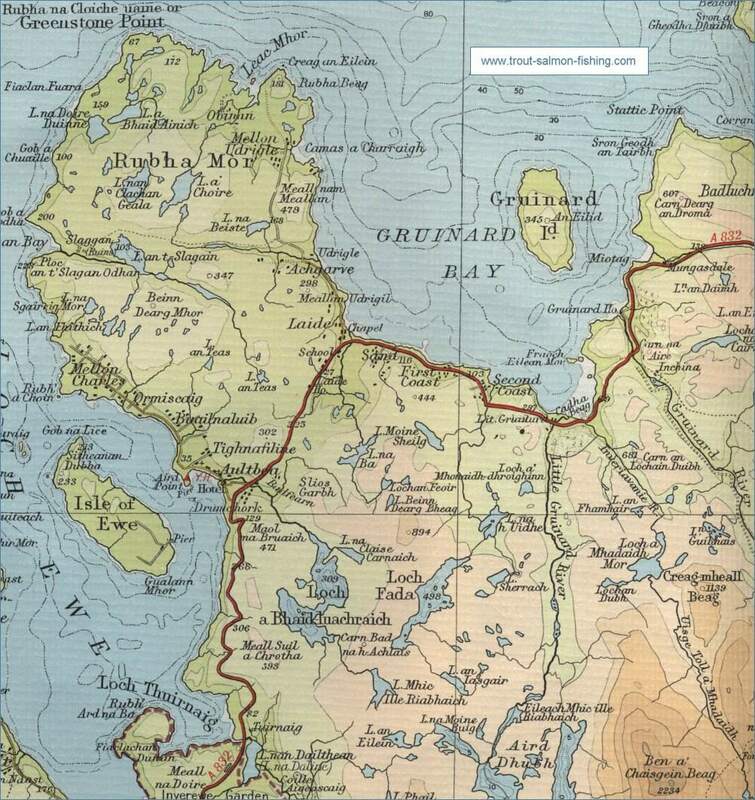 We had walked out to the ruined settlement in Slaggan Bay, casting a fly on Loch-na-h-Innse-Gairbhe and Loch an t Slagain on the way, with similar results. 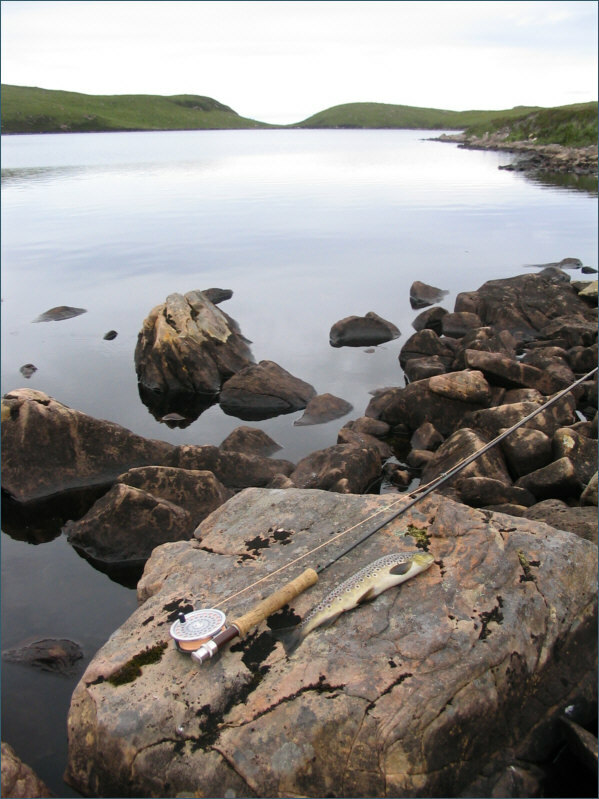 But now it was time to revisit Loch a Choire to see if it still held the kind of trout I remembered. I took again the old Slaggan road and, after a mile or so, headed north over peat and heather. The going was fairly easy and I soon arrived at the wee loch, which lay just to the south of my main objective. This loch looked promising and I had a few casts on my way to the main loch but saw no sign of a trout. 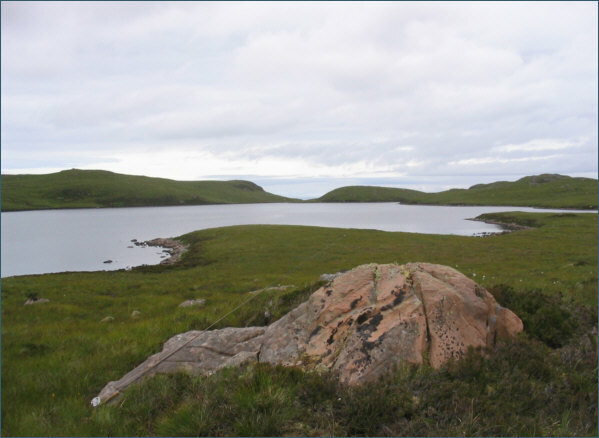 A few strides farther brought me to the rocky south shore of Loch a Choire. All was quiet but for a group of divers way out in the middle of the loch. A slight breeze ruffled the loch surface but no trout were rising. I made my way steadily round the shore, picking my way carefully over the rocks, making the most of the light wind, which occasionally dropped enough to encourage the unwelcome attentions of the dreaded midges. But it picked up again and soon the first trout took me by surprise. 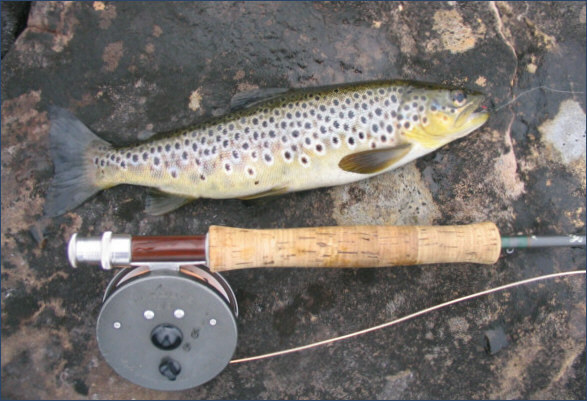 It was firmly hooked, though, and, after a spirited fight, which would not have shamed a fish of twice the size, a beautiful trout of about three quarters of a pound was drawn over the rocks. 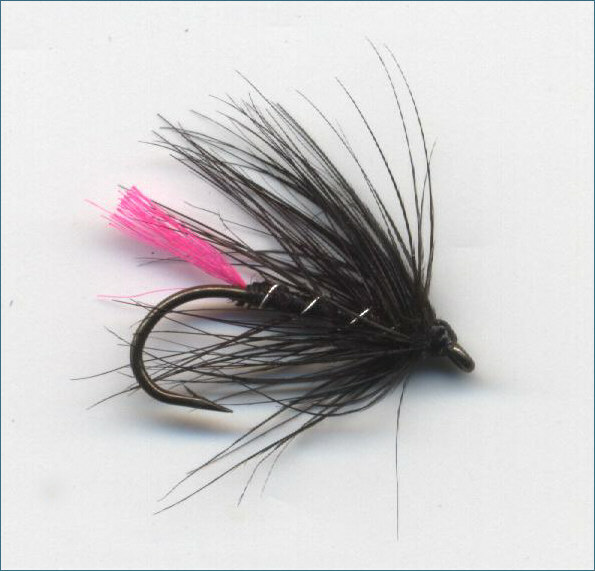 It had taken the size 14 pink tailed Zulu and might have been the double of the one I hooked twenty five years ago. I carried on round the south shore, casting as I went in the variable light wind. All seemed quiet. No trout broke the surface. 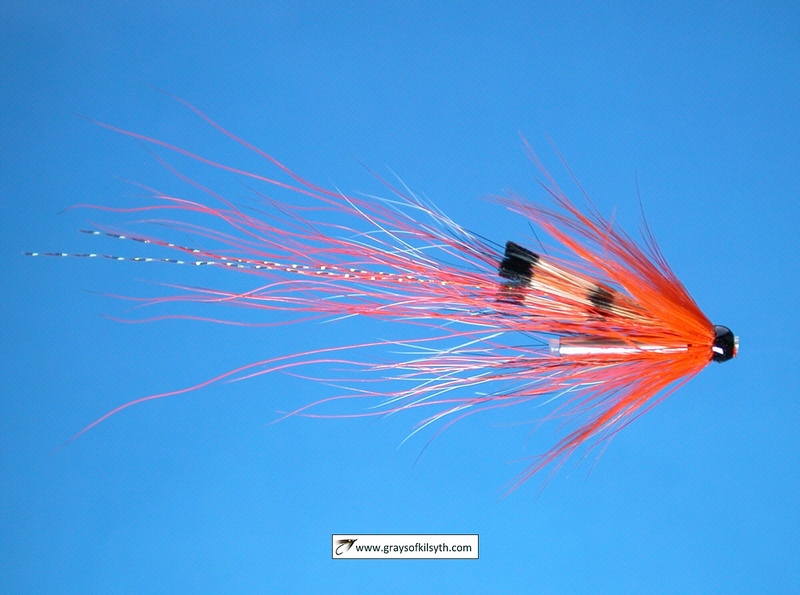 Then, again out of nowhere, a second trout, a shade bigger and stronger than the first, took the tail fly, a size 12 pink tailed Zulu. 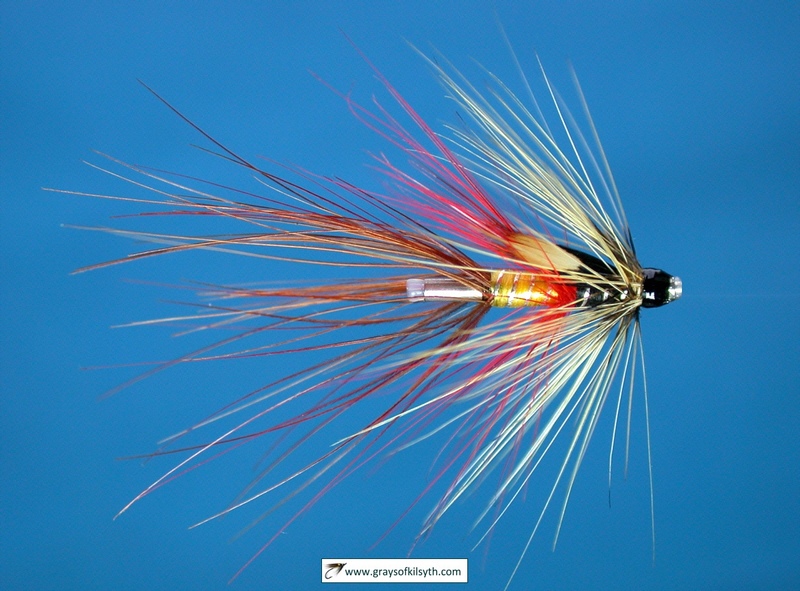 You might wonder at my unadventurous fly selection but I had found that, despite the inclusion, from time to time, of a variety of alternative patterns on the cast, the trout in the lochs hereabouts seemed to like this fly. And so, a long held dream had been realised. Loch a Choire had not let me down. With a brace of the most perfect loch trout in the bag, I made my way back down the hill, well contented. An unforgettable day was rounded off by a delicious meal of grilled trout, washed down with a bottle of Cotes du Rhone...... and a dram or two.